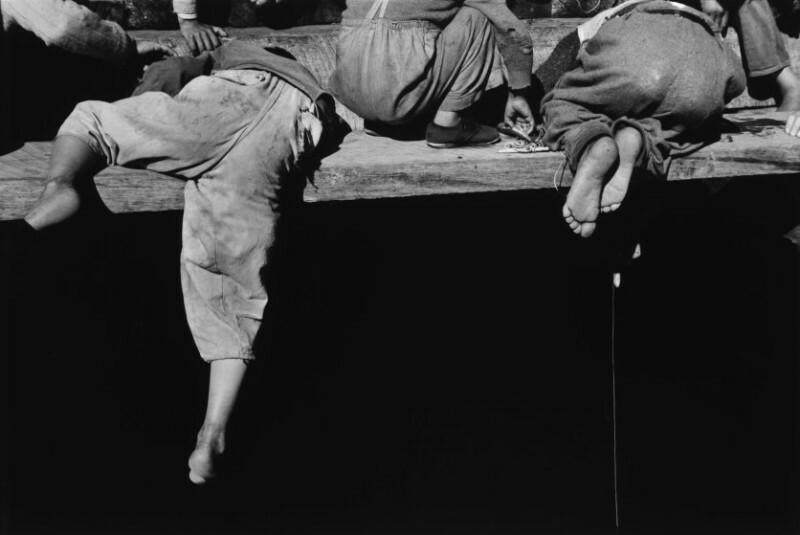 Sergio Larrain—Magnum: Street children in Santiago, 1957. For a man who worked professionally for barely more than ten years, Sergio Larrain, who died in 2012, had a disproportionately large impact on photography. The author of four books, he is widely considered Chile’s finest lensman, though he became something of a recluse later in life. Born in Santiago into a well-to-do family, he ditched a possible career in forestry for a life behind the camera, and saved up for his first Leica by working in a cafe. The son of an architect father, his love of photography grew when he later traveled the Middle East and Europe, lens in tow. 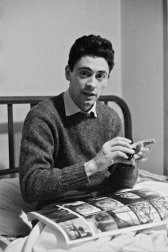 His real break came in 1958, though, when he bagged a British Council bursary that allowed him photograph cities throughout the U.K. The images that emerged – chiefly of London – were captivating shots of the everyday, and caught the eye of Henri Cartier-Bresson. The Frenchman later invited Larrian to Paris and the Chilean soon joined Cartier-Bresson’s Magnum agency as an associate in 1959 (and became a full member in 1961). His was a career filled with disparate subject matters, tied together with his famous compassion for those he photographed. Larrain’s style is immediately recognizable: he made use of vertical frames, was a fan of low angle shots and was wholly unafraid of experimentation. 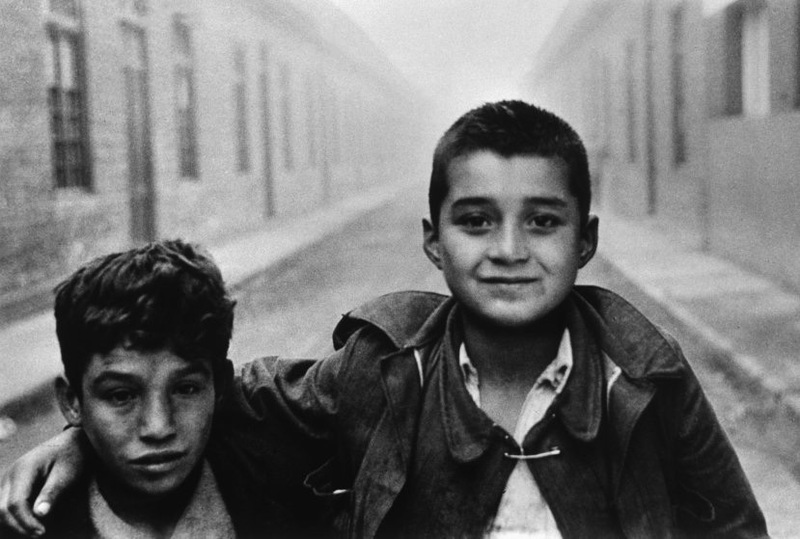 Much of his work was concerned with street children, and his some of his earliest pictures – those from a 1957 series in Chile, for example – are certainly his most powerful. Though he was no stranger to architectural photography, having shot fellow countryman and diplomat Pablo Neruda’s house. Indeed, his portraiture is as humanistic as it is environmental. One of his most captivating images, taken as part of the later Valparaiso series in the port city of Valparaiso, Chile, perfectly combines both. 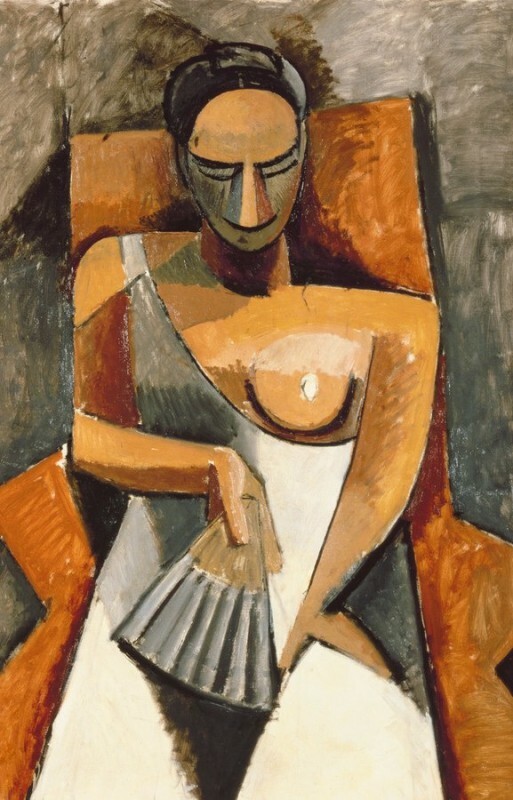 The piece shows two young girls going down a staircase, their delicate frames contrasting with the solid, modernist-seeming gray concrete surrounding them. 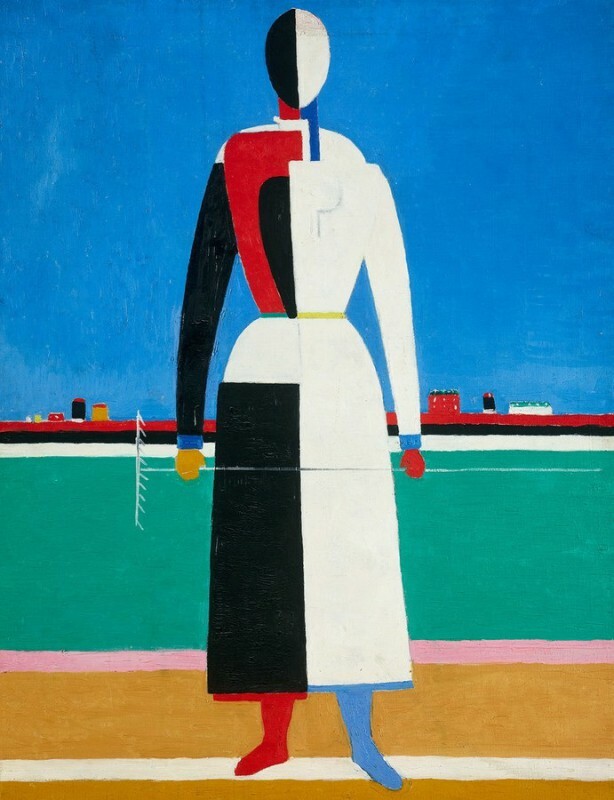 It is a picture as much about its subjects as it is about the context in which see them; and with their backs turned to us, is as much about what we see as what we don’t. 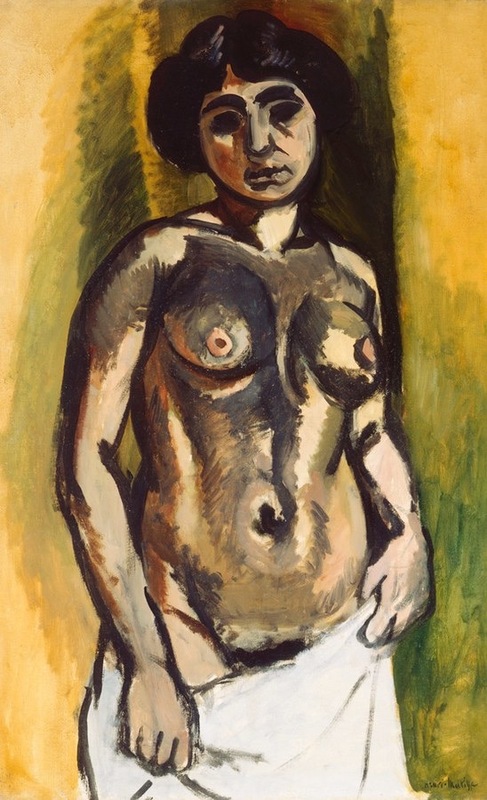 Larrain stopped taking pictures professionally in the 1970s and retreated to the Chilean countryside for a life of calm meditation (though he continued to take some pieces in the 1980s, they were photographs of objects, usually in his house, which he would send to friends in the mail). It is said that he withdrew because he, ever the humanitarian, became disillusioned with the often harsh world he was photographing, and felt powerless to help. 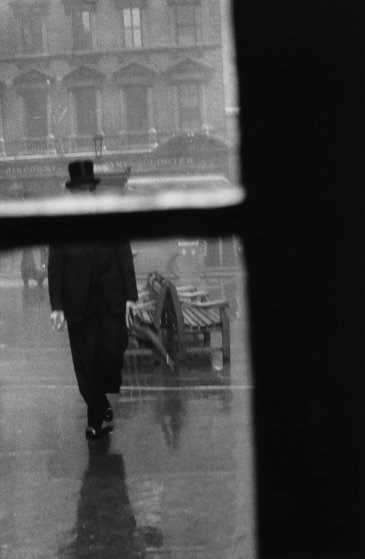 Sergio Larrain/Magnum Photos: GREAT-BRITAIN. England. London. 1959. 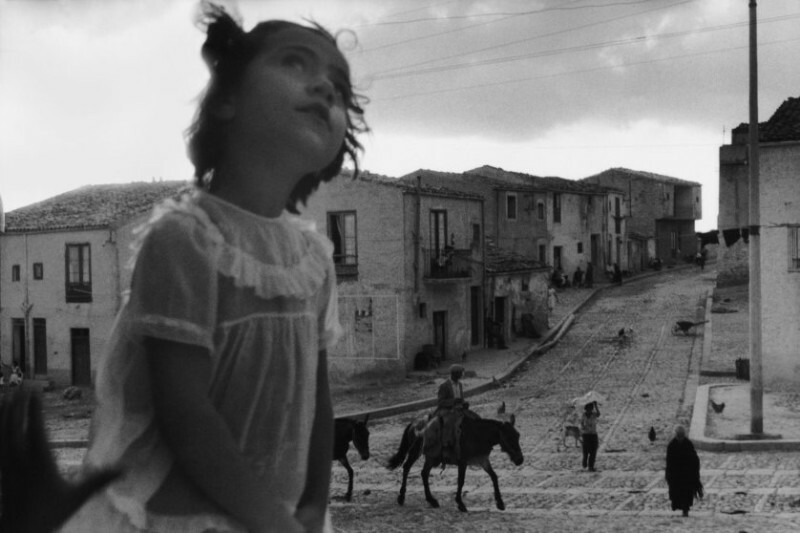 Sergio Larrain/Magnum Photos: ITALY. 1959. Sicily. Corleone. Main street. 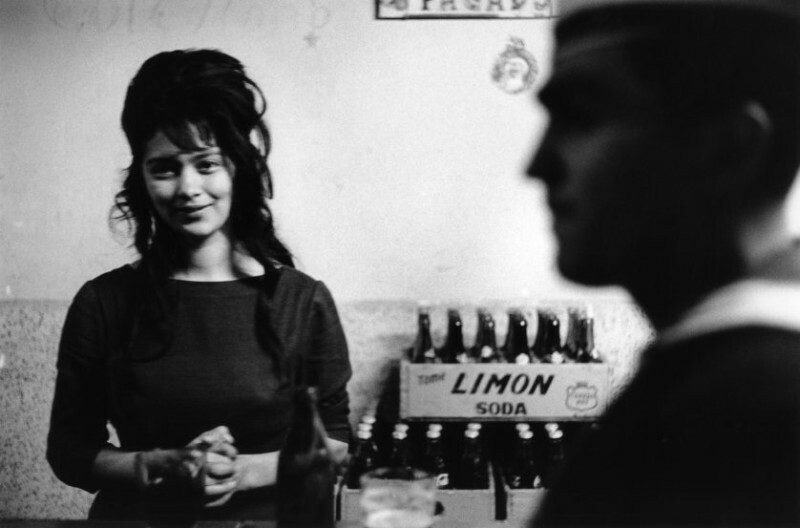 Sergio Larrain/Magnum Photos: SOUTH AMERICA. 1957. Chile. Valparaiso. Sergio Larrain/Magnum Photos: CHILE. Valparaiso. 1963. Cafe de marins. 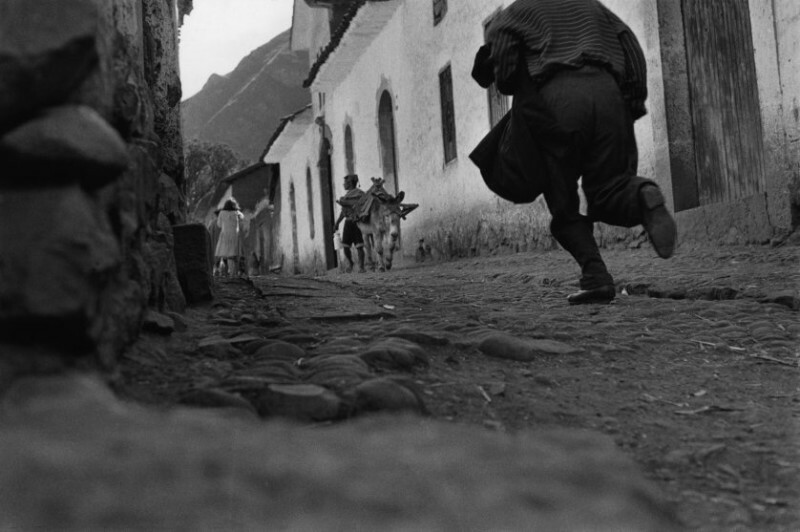 Sergio Larrain/Magnum Photos: The Inca Empire. PERU. 1960. Pisac. 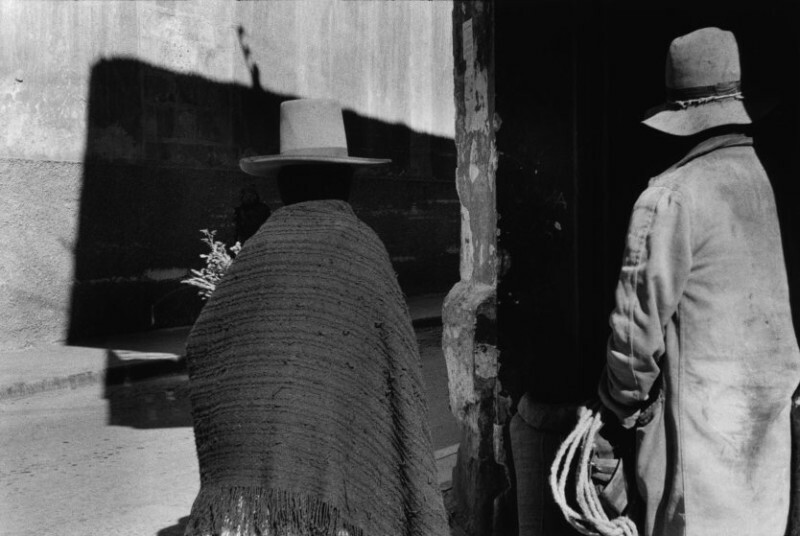 Sergio Larrain/Magnum Photos: BOLIVIA. Potosi. 1957. Market. 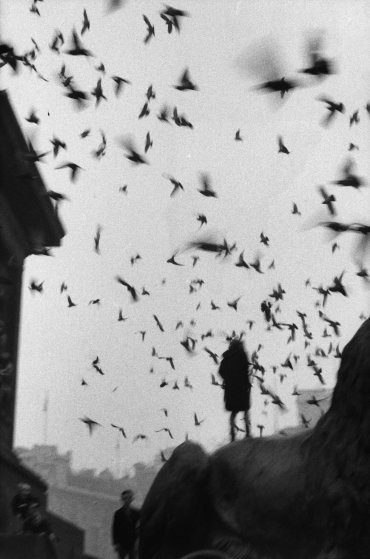 Sergio Larrain/Magnum Photos: GREAT-BRITAIN. England. London. The City. 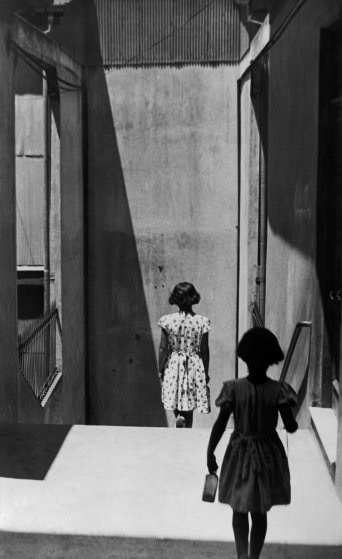 Sergio Larrain/Magnum Photos: CHILE. 1961. Region of Los Lagos. Island of Chiloe. Sergio Larrain—Magnum: CHILI. Santiago. Vagabond children. 1957. Sergio Larrain/Magnum Photos: “La Ruche,” artists’ village. FRANCE. Paris. 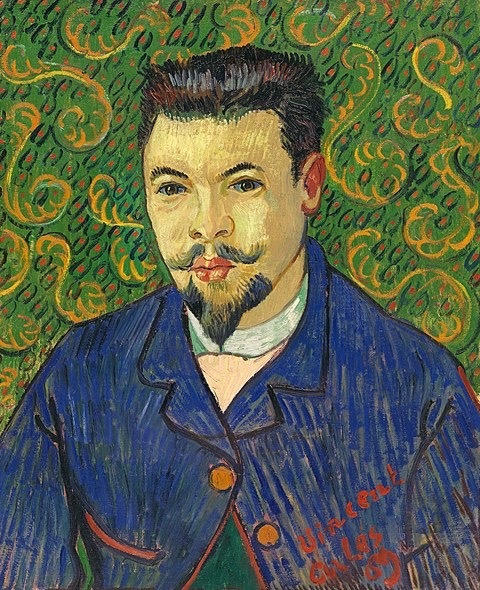 Montmartre. 1959. 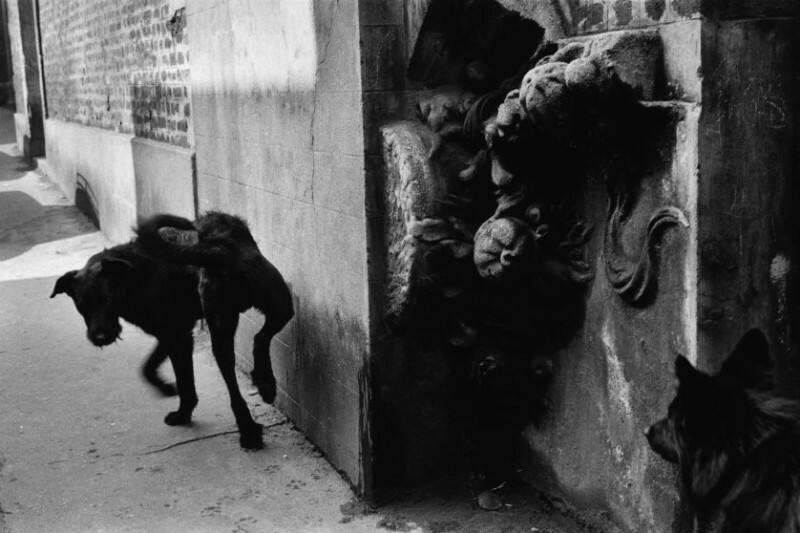 A retrospective of Sergio Larrain’s work formed part of Les Rencontres d’Arles 2013, exhibited from July 1 through Sept. 22, 2013. Richard Conway is a member of TIME.com’s photo staff. He’s previously written for LightBox on Erwin Olaf, Gary Winogrand, Ezra Stoller and Pete Hujar. Reprint from TIME.com, 26 June 2013, © 2017 Time Inc.